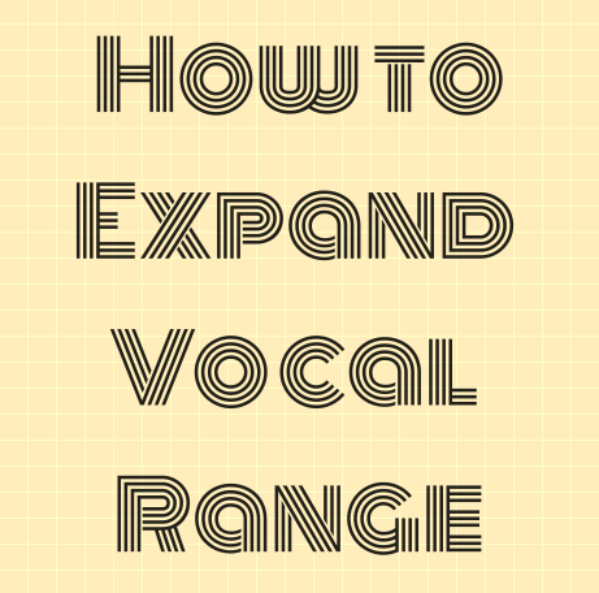 Expanding your vocal range does not have to be a hard task. If you want to be able to throw out those low, brassy alto notes, yet still sound like a fairy dancing on clouds with floaty, soprano notes, why shouldn’t you be able to? Expanding your range gives you much more control over your voice and can increase your octaves, which is always a good ability to have. The YouTube videos below have great ways to expand your vocal range and all it takes is a little time out of your day and some practice. This is a good video to start with if you want to start to learn how to increase your range. The first exercise she shows you will span your range over two octaves. The point of this exercise is to not only focus on getting the highest and lowest notes, but also being able to control the middle notes as well. She notes that you should listen, make sure you’re in tune, and aren’t pushing anything. I think she also hits on a key fact that it’s important to have proper breath support and not just push it. You also should not lift your head while trying to reach these notes because it will just make everything tight and tense; you want everything to be relaxed. I like this video because it gives you a simple example as to how to increase your ability to sing low and high notes, as well as gives you simple reasoning as to how this exercise will help. This video is great for increasing your range because she really goes over the logistics of it. She goes over what your posture should be like when singing- chest up, chin down, and head up. You really need to let your breath flow and not strain your throat, which is an important tip- you should NOT sing from your throat. Ever. Overtones will create strength in your voice, but also produces range. Cari Cole really emphasizes the need to focus on your middle tones, just like the first video does. Yes, it’s important to sing high and low notes, but the middle tones will really make the difference. Getting better overtones will really strengthen the weaker parts in the middle range, and will smooth over all the breaks will practice and time. All-in-all, Cari Cole really knows what she’s talking about and it’s a good video to really learn the information and facts behind range. It’s important to know what exactly is best for your voice and Cole does a great job at explaining this. In this video, Brett Manning emphasizes the best way to expand your vocal range and that’s by being flexible. He says the best way to increase flexibility is to do lip buzzes, one of the most common exercises. In order to stay flexible, you should start down low and end up high with your lip buzzes, going up a little more each time. You want to change keys every time and keep going higher until you it gets too crazy. You want to start with going up two octaves, then three, and speed it up as you go. If this exercise is too hard at first, keep on practicing! Practicing never hurts anyone! This is a good video because it offers you another example on how to improve range and he is a very well-known vocal coach, so it’s credible.